The digital world happens to be multilayered, wherein a range of technologies work in unison for offering great user experience. While websites and web pages have been marked as the primary tools that give almost any modern business a boost today, it is essential to analyze and gather insights about the things behind the curtain. Small businesses and start-ups need to take a look at the latest trends that emerge over a period of time on a regular basis in order to come up with colors in innovative projects. React enables painless creation of interactive UIs and facilitates designing simple views related to each state in applications. It helps update and render the right components efficiently when the data changes. 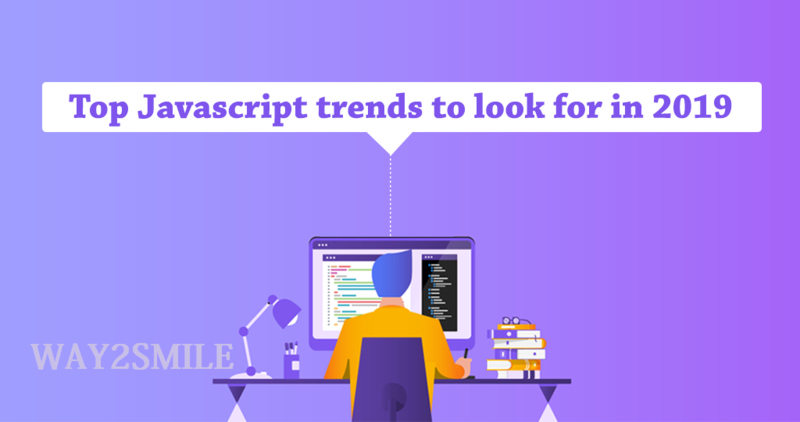 These factors, along with the fact that it holds an established and popular position ensure that ReactJS remains at the top in the near future. It is supported by other frameworks or libraries and is found to be ideal for large web applications. GraphQL is Still Worth Mentioning: Although depicted by a few as the future replacement for REST APIs, both have their own advantages and qualities. Being a query language that lets developers to make specific requests from server, this packages the requests in efficient and simple way too. Voice User Interface: With myriad voice assistant apps and gadgets, users are increasingly getting adapted to the concept of issuing voice instructions. Voice user interfaces have been widely adopted in several user environments; websites are expected to follow suit. It is expected that in 2019, users will be able to start browsing, purchasing or searching for information, with voice user interface provided by the websites. The comfort of being able to achieve these without physical typing or clicking to issue commands will set a trend in 2019. Personalized User Experience: In the quest for attracting increased number of visitors while achieving low bounce rates, improving user experience has become one crucial factor in the website design. It is essential that websites are found to be enjoyable to visit and interact. Users are required to be engaged and retained by providing top-notch, personalized user experience. Chatbots: Chatbots, with their ability to work 24/7 and replace human agents, keep users engaged on websites. While being able to answer general questions, chatbots are helpful in saving time and money. Minimalist Design: Websites have been found to adopt minimalism widely; this design type appeals to most of the modern site visitors. Making websites avoid appearing overloaded with color and content, minimalism combines with bold typography, allowing users to focus without distraction, on the text.